Have a wonderful year and also a fat bank balance. Stay healthy and slim :). ROFL! That's funny! 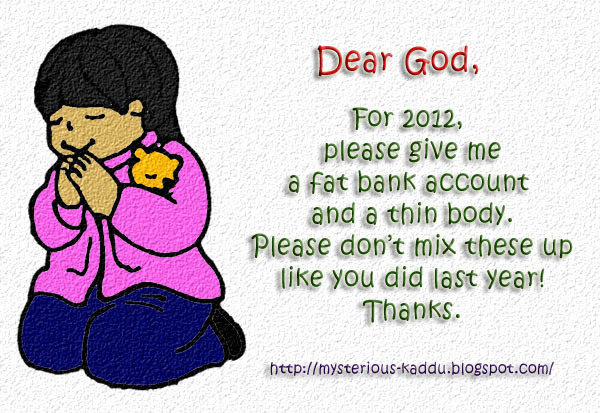 :) Happy New Year Kaddu!